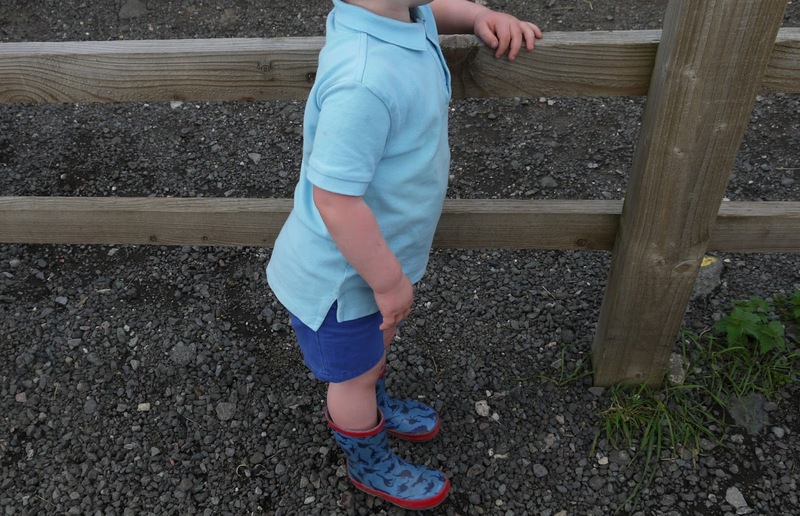 Hello lovelies, I know I said I was going to do joint outfit posts with the boys but Lawson was in his pram most of the day and I just took a few shots of Oscar whilst we was at the farm, more about our trip to the farm will be up on my blog soon but I just thought I would share with you all what Oscar wore there. 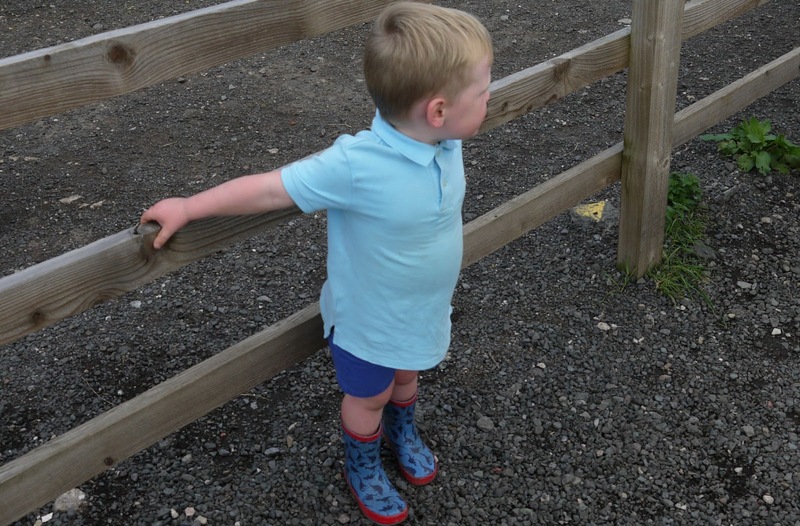 I'm in love with the colour of his Ralph Lauren t-shirt and thought they went well with his darker blue shorts and obviously you have to be wellie ready for the farm! 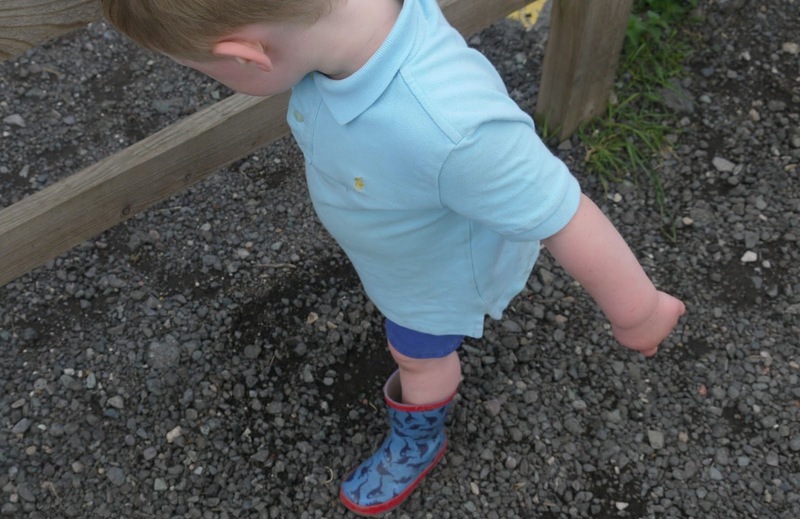 Oscar loves wellies, he wears them in the garden whatever the weather and I was so shocked I saw these in Aldi a while back, I saw that they had dinosaurs on them so had to get them for Oscar as he's obsessed with dinosaurs at the minute. 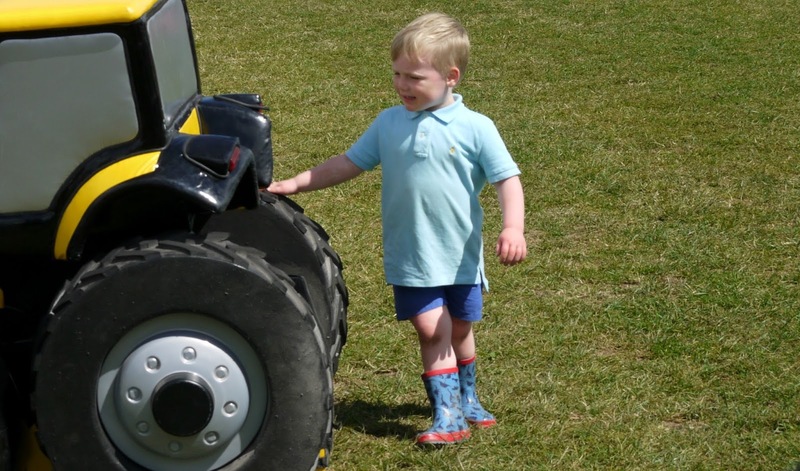 It was a lovely day, the weather was beautiful so he was dressed for the occasion, have you taken your little ones anywhere nice in the summer holidays?